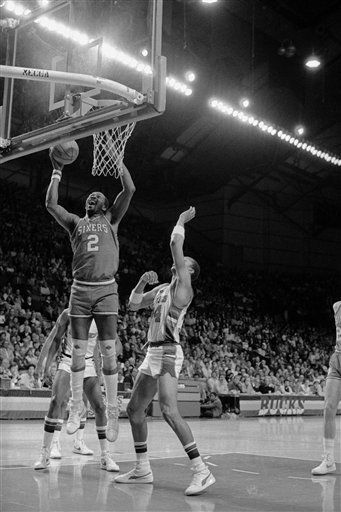 Moses Malone devoured rebounds so easily it sometimes seemed he missed shots on purpose to pad his total before scoring. 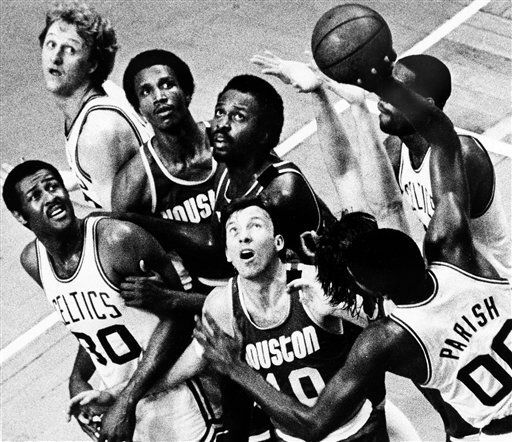 Malone, a three-time NBA MVP and one of basketball's most ferocious rebounders, died Sunday in Norfolk, Virginia, where was scheduled to appear at a charity golf event. He was 60. Malone had just attended this weekend's enshrinement ceremonies at the Naismith Memorial Basketball Hall of Fame in Springfield, Massachusetts. Nicknamed the "Chairman of the Boards," Malone was inducted himself in 2001 and remains in the NBA's top 10 in career scoring and rebounding. "With three MVPs and an NBA championship, he was among the most dominant centers ever to play the game and one of the best players in the history of the NBA and the ABA," NBA Commissioner Adam Silver said. 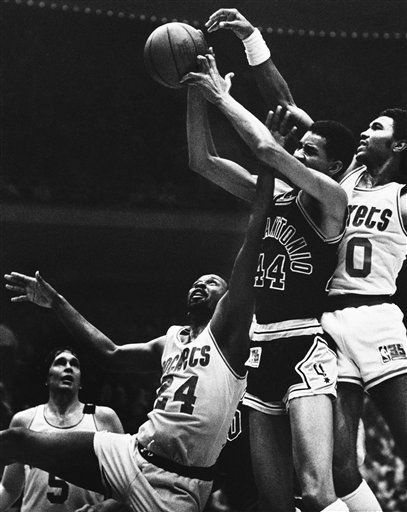 A 6-foot-10 center who was the first to make the leap right from high school to the pros, Malone is the NBA's career leader in offensive rebounds and led the league in rebounds per game for five straight seasons from 1980-85. 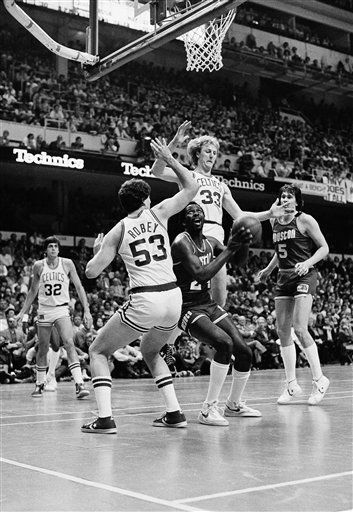 Malone led the 76ers to the 1983 NBA championship team, and the club said he will "forever be remembered as a genuine icon and pillar of the most storied era in the history of Philadelphia 76ers basketball." That was Malone's lone title, helping Julius Erving and the 76ers get to the top in his first season after arriving in a trade with Houston. 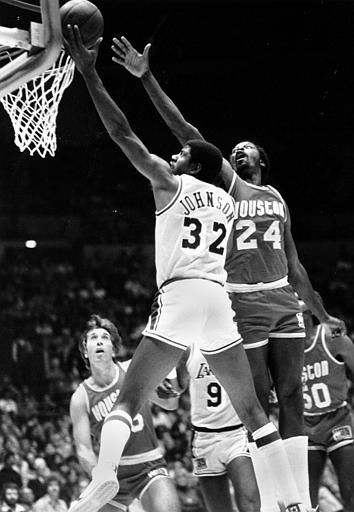 He won his third MVP award that season and made his famed "Fo', Fo', Fo'," prediction that the Sixers would win all their playoff series in four-game sweeps. He wasn't far off: The Sixers lost just one game in that postseason before sweeping the Lakers in the NBA Finals, with Malone winning the finals MVP award after averaging 26 points in that postseason. "No one person has ever conveyed more with so few words - including three of the most iconic in this city's history," 76ers CEO Scott O'Neil said. "His generosity, towering personality and incomparable sense of humor will truly be missed." 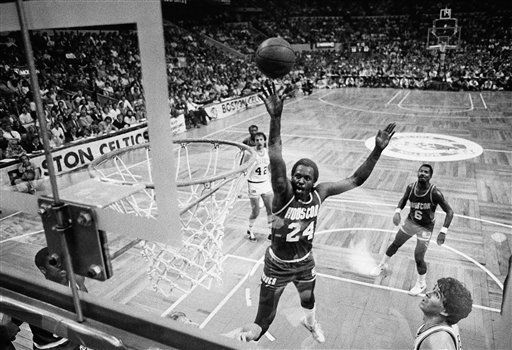 Malone's staggering statistics across 21 seasons and 1,455 professional games included 20.3 points and 12.3 rebounds per game. 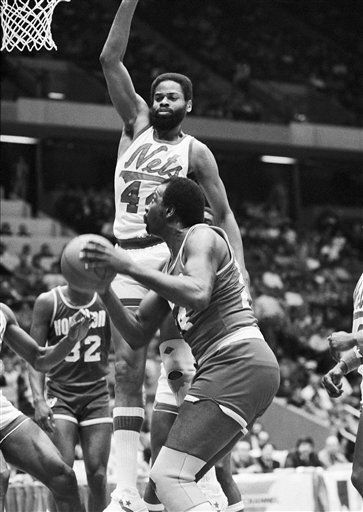 He holds NBA records for offensive rebounds in a career (6,731), season (587) and game (21). "Every time I saw him I called him 'Dad.' I hope he knew how much I appreciated and loved him." 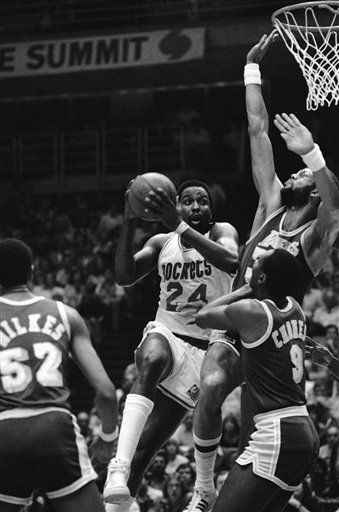 Drafted by the Utah Stars of the ABA in 1974, Malone went on to play for eight NBA clubs and was the league's MVP in 1979 and 1982 while playing for the Rockets. 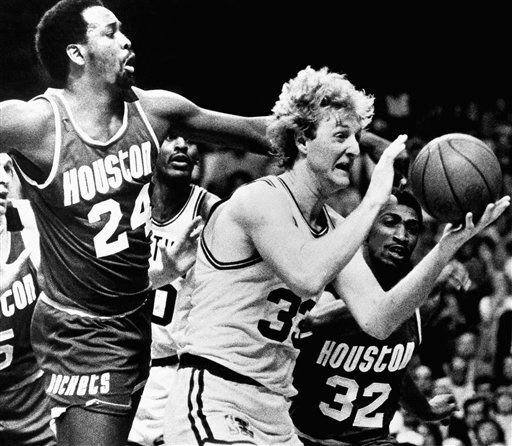 "Everyone in the organization is deeply saddened by the passing of Moses Malone," Rockets owners Leslie Alexander said. "Moses was a true gentleman and one of the great Rockets - and greatest NBA players - of all time. He will be forever missed. Our deepest condolences go out to his family and friends." 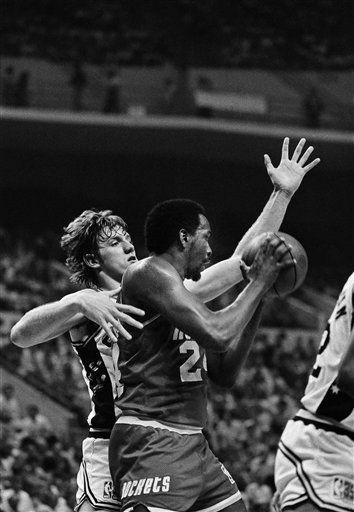 Malone's death comes shortly after the passing of another 76ers center, Darryl Dawkins. "Even before we played together, he was one of the first greats who truly mentored me and showed me how to be a professional," Hawks Hall of Famer Dominique Wilkins said. "I never saw anyone work harder than Moses and away from basketball, he was just as kind and thoughtful." 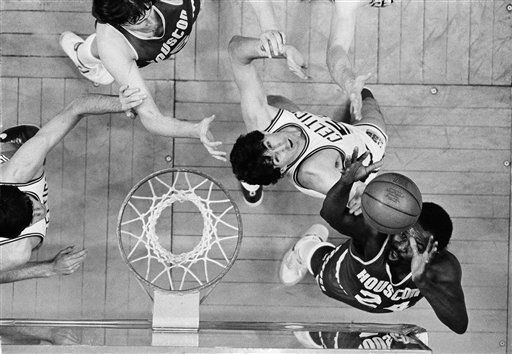 Malone was a 12-time All-Star and chosen as one of the league's 50 greatest players. He finished his NBA career with 20.6 points per game and was a four-time selection to the All-NBA first team. "He was well known. 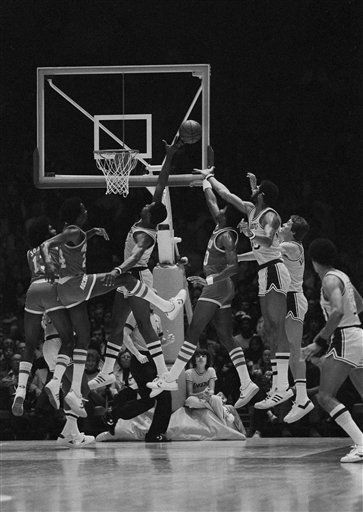 He was a great basketball player and person, arguably one of the top 10 players in the history of basketball," Coles said. "Just a great person to be around. I'm pretty sure just about everybody here knew him."